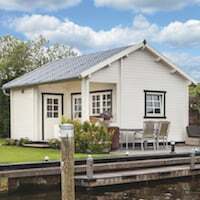 Buying a log cabin is a tricky enough thing itself with so many suppliers, makes, models and specifications to choose from, in fact it’s a minefield. But deciding whether you’re going to need planning permission can be equally as arduous as buying the bloomin’ cabin in the first place. There are loads of rules bandied about and it gets jolly confusing. 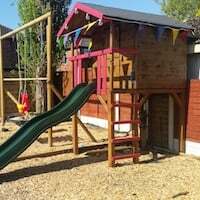 So, in this post I’m going to look at planning permission and permitted development for your log cabin and hopefully give you some handy advice or at least some good pointers. Based on facts and referenced by the correct documents and the orders current at the moment. 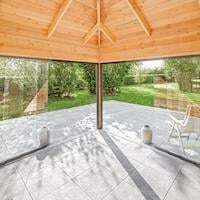 Lots of people ask me if planning is required for a particular log cabin and my stock answer is probably not as generally it is classed as ‘Permitted Development’. I then list reasons a, b and c why it’s not needed and I then advise them to check with their local planner if they are in any doubt and point them to the Planning Portal. An easy answer really and perhaps a little lazy. But, for a moment, lets not look at my stock answer, my lazy answer. Let’s instead look in depth at the official sources from our Government and try to determine if we do indeed need planning permission for our log cabin or perhaps, hopefully with our finger crossed, we fall within ‘Permitted Development’ and can safely and happily pop our log cabin in the back garden, on occasion to the slight annoyance of our neighbours. 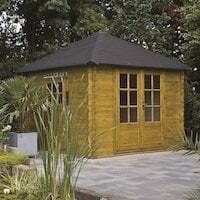 Your outbuilding (log cabin in this case) cannot extend beyond the boundary of your house. Fair enough, as in the regulations it says that it can’t extend beyond the ‘Part of the original house nearest the highway‘ so no log cabins in your front garden! 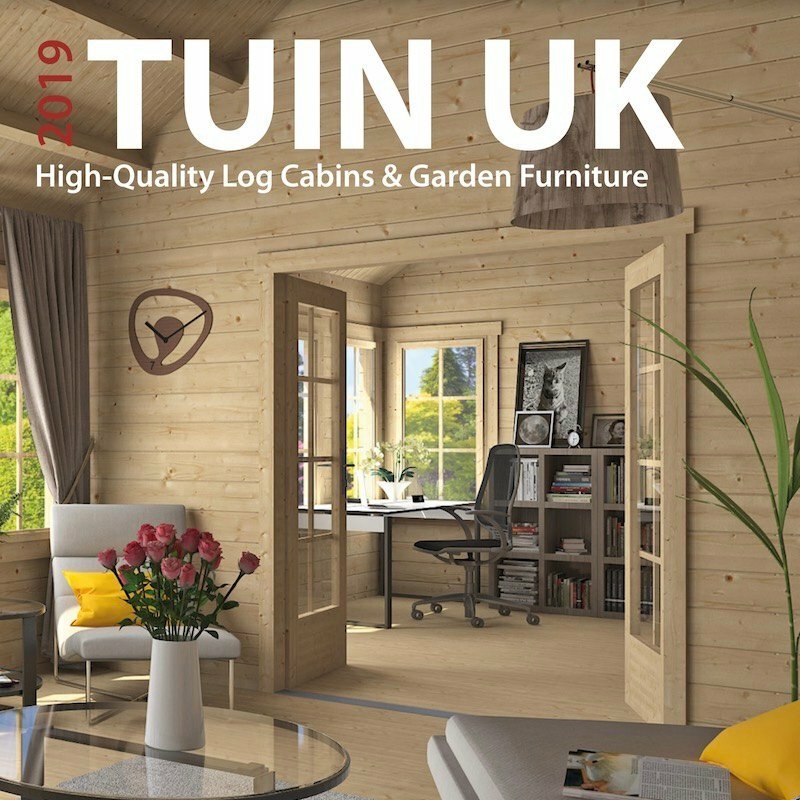 Now, for me and maybe you after looking through the Portal and it’s ‘interactive advice’ is the next bit, I find it the most confusing part, it talks about heights we’re allowed for our lovely log cabin. It says that if a building is more than 2m away from the boundary it can have an eaves height (floor to where the roof starts) of 2.5m and a ridge height (highest point) of 4m. 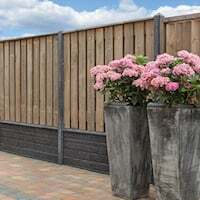 So in other words you can plonk your log cabin 2m (add another 1mm) away from your fence and you’re allowed a 4m height overall height starting from an eaves height of 2.5m. Great! It then says: if you’re less than 2m you can have a ridge height (highest bit) of 2.5m. It doesn’t mention an eaves height. So from this they are saying if I pop my log cabin at 2m (minus 1mm) I can still have a height of 2.5m at that point as they don’t mention an eaves height. One can assume (confirmed later) that I can have a pent (flat) roof log cabin of 2.5m maximum height at that point Cool! Confused, what height can I have on my log cabin really? And, this bit is where there is all sorts of confusion, what exactly can we have? From a reliable planning type gentleman locally, I’m told the portal is worded not overly well and you can see why from the above. The confusion is over the words ‘Ridge’ and ‘Eaves’ and then failing to mention either when within the 2m boundary. However the actual planning document doesn’t mention it either and I’ll get to that shortly. My interpretation and that of a planning chap I have spoken to and enjoyed a coffee with is that we’re looking at the overall height, take a measurement from your boundary, get to the 2m mark, how high is it? Under 2.5m? You’re OK.
Don’t take my interpretation though, lets carry on for some proof if you’re not too bored yet. There’s then other rules in the portal that are pretty much self-explanatory but don’t get me started on the very ambiguous, platforms and balcony’s statement, I’ll discuss that bit in another post. a) 4 metres, in the case of a building with a ridged roof. b) 3 meters in any other case. Hmm, so that bare’s out the maximum ridge height of the 4m. But where does the 3m come in? By the sounds of it, as I said earlier, we can have a pretty tall pent roof, and this one is 3m not 2.5m, don’t forget this is 2m and within the boundary. Lets look for guidance on the boundary, it’s not in E1 but it does come in at A.1 (d) and clears up the 2m boundary, it’s also mentioned again in D.1. 19. To ensure that the amenity of neighbouring properties is protected, other limitations and conditions would remain the same. 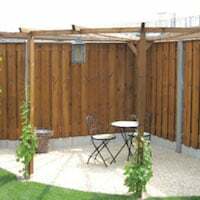 For example, development will not be able to cover more than 50% of the curtilage of the house, single-storey extensions must not exceed 4m in height, and any extensions which have an eaves height of greater than 3m must not be within 2m of the boundary. In addition, existing protections under other regimes (building regulations, the Party Wall Act or the ‘right to light’,7 for example) will continue to apply. There is no weakening of the National Planning Policy Framework policies which aim to prevent garden-grabbing. So here it is confirming that this document is not going to change the 4m in height and it also confirms that anything greater than 3m within 2m of the boundary is not permitted development. Summary: Is your Log Cabin within permitted development? So lets look back at the portals guidance, and remember it is only that, read their disclaimer. Pretty much it means within 2 meters of your boundary, basically don’t block out your neighbours light. 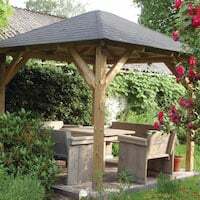 Keep under 2.5m at that 2m point, most log cabins from several suppliers have an eaves height less than that so you’re fine and within permitted development. After the 2m point you can go up to 4m in height starting at a 2.5m eaves height point. The regulations actually say 3m but lets play fair and keep it down and avoid light issues. 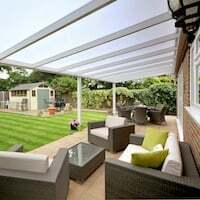 To re-iterate, move away more than 2m and you can start at a 2.5m eaves height and go all the way up to 4m if you want to without needing planning permission and still being within permitted development. If you’re within 2m, measure from the boundary to the 2m point, if you’re below 2.5m it’s officially a ‘permitted development’, even if your ridge height extends above 2.5m. There’s other rules as well which are pretty self-explanatory, if you’re somewhere really pretty you’re a lucky person and if it’s ‘designated land’ then you’ll need it. If you have sleeping accommodation, employ people etc then you’ll also need it. Other rules apply to under 30 m.sq and we’ll look at that another time. Now here’s my disclaimer. All I’ve done is research it and asked my local planning office over a coffee what their views are. If you’re in any doubt: Contact yours. There’s nothing worse than having to take down your lovely log cabin because a planner got a bit grumpy! Ah, talking of that, a quick story: I supplied a horsey type place with a HUGE log cabin, three bedrooms, two floors, it was amazing and about £18000 and they were eventually renting it out as a holiday cottage. Here’s a picture of it being built, it was a lovely log cabin. I asked them if they had planning, they didn’t and they didn’t care and assumed they would be fine. You’ve guessed it, 15 months later Mr Planner visited. The poor sods were made to take it down and had to use a chainsaw to do so. The amazing Log Cabin has now become very expensive fuel for their log burner! Any doubts at all about your log cabin always ask your Planning Office. My advice is to read the documents above, make a sensible judgement and assessment based on the information within them, consult your neighbour and if any doubt always pop in and speak to your local planning office, most of the time you will get a free coffee so has to be worth a coffee break at least. 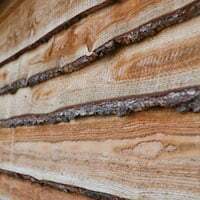 If anyone has further clarification or advise on log cabin heights, planning and permitted development regarding log cabin and out-buildings I’d love to hear from the experts and update this post accordingly. Thank you for reading a fairly dry subject, has it helped or are you still not sure? 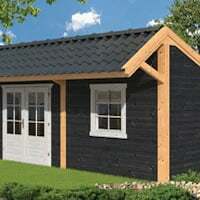 Planning Permission for your Log Cabin Final Word. Ask your planners their view if you are worried at all, please also reference the documents above. See what they say, 99.9% of the time if you fall into the above criteria they will pass you. Please let me know how you get on and let me know if I have anything wrong or your planners said / agreed something different. This entry was posted in Technical - Log Cabins and Timber and tagged log cabins, permission, planning by Richard. Bookmark the permalink. You had my hopes up! 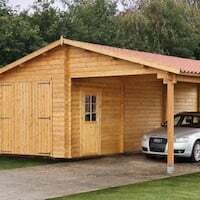 What is max size I can build a log cabin width and length? The size will depend on your plot and how much room you are taking up, the position of the building and sq.m area. It is always best to contact your local planning department for full confirmation. You don’t mention “conservation areas”. Does permitted development apply to these. ? Conservation areas, heritage area, special sites etc will have their own rules. If you have any doubts it is best to always contact your local planners. Great down to earth knowledge. Now, what is the ‘tolerance’ on most quoted heights? When I see maximum height shown as 2.5m for the cabin, it clearly depends on the +base height….. 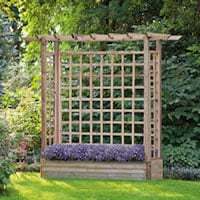 I am somewhat worried as this will break the 2.5m limit if the base is slightly above ground level? Should we go for 2.4m Max to allow for base/tolerance? I think this will be down the the planners and the interpretation, I think though it is generally measured from the ground so consideration should be made for the base height. Just to add another confusion to the mix. When we are talking heights of the cabin, were all assuming this is measured from the ground. what if you are builiding on a raised structure due to the ground being flooded each winter? Is the height still measured from the ground or from the base? I’m fairly sure it is measured from the ground. But I don’t know. Your local planner and his interpretation has got to be called upon. Talking of confusion when so you take the measurement? We know a log cabin expands and contracts a LOT so what height do we take? The height in the Summer when it is at it’s lowest or the height in the winter when it is as it’s highest? Tricky thing this!